Overtraining is one of the five most common training mistakes that a long distance runner can make. The drive to excel, beat a time goal, become stronger, place first, can contribute to an athlete running too much and becoming "stale". This condition can affect any type of athlete but endurance runners are more prone to suffer from it due to the nature (endurance level) that the sport requires. It is normal to experience physiological fatigue that sets in after an intense workout. It usually takes no longer than 2 weeks for your body to get back to a well rested state. The result is an increase in our motor performance (depending on what the workout targeted it will enhance our speed, strength, endurance, etc). This is good for performance improvement and what we aim to do when we add such workouts as speed training to our routine. However, it becomes bad when we fail to allow our bodies to rest when they are already in a state of fatigue and continue to push them into intense workouts. If we continue to do this all the while postponing our much needed rest to beyond a 2 week period we begin to suffer from the effects of overtraining. Other causes can be due to emotional factors such as our daily life anxieties, stresses and fears that can begin to creep into our training program. These will end up making us feel burned out in the area of running. Another common cause is feeling that all your hard work and training is not paying off. Sets the stage for an injury to occur and greatly reduces the ability of a runner's immune system to fight disease. The two most common injuries that an overtrained athlete experiences are stress fractures and tendinitis. Results in a lack of enthusiasm for running and a feeling of being "burned out". Poor performance or a decrease in good performance. Body weight loss, which can be accompanied by a loss of appetite, and/or indigestion. Always feeling tired. You will feel tired from time to time especially after a long run, speed workout, or resistance training bout but you shouldn't be trying to just "get through the day" because you are so fatigued. Your body has a hard time resisting infections. You might find yourself with more colds, sinus infections, sore throats, even nausea and headaches because your body is being worn down. Psychological staleness or the feeling of being burned out. You might feel like you just can't run anymore and have no desire or enthusiasm to do so. You have an elevated heart rate and blood pressure levels when running and even at rest. If you haven't been keeping track of you heart rate it is a good time to start! Start here to find your target heart rate. Insomnia or having a hard time sleeping whether it is falling asleep or staying asleep. 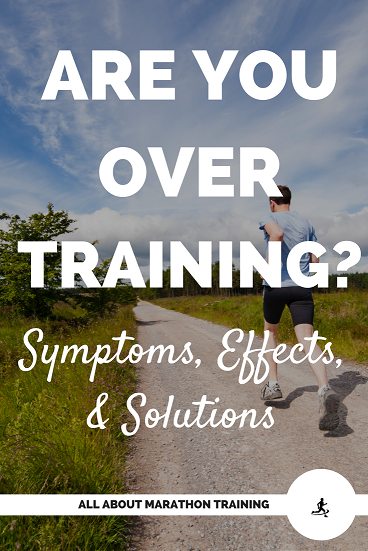 It is fairly easy to avoid the negative effects of over training. 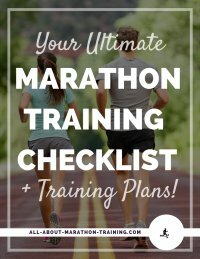 Participate in a resistance training program that is sport-specific to runners - I have a beginner strength training plan and an intermediate level plan that is geared towards runners. However, the most sport specific type of resistance training a runner can participate in is hill training. Cut down on your training volume rest days! Take 3 to 5 days. Ignore your training schedule and get some rest. Reduce your mileage for the week. You may choose to keep your pace the same or just run easy. Your body needs a break. Your mind needs a break. Do not return to your regular training schedule until you feel rested, enthused and ready to continue. If you have big competition coming the best thing might be to pull out instead of pushing your body to an extreme. If you are a coach it is extremely important to watch out for this condition in your runners. Prevention is, as usual, the best way to avoid the negative effects. Keep in mind that an overtrained runner needs your patience and empathy. It will take a little bit of time but they should snap out of it in a timely manner as long as they are given what their body and mind needs. Gremion, G., and T. Kuntzer. "Fatigue and Reduction in Motor Performance in Sportspeople or Overtraining Syndrome." Swiss Medical Journal 962nd ser. 10.428 (n.d.): 964-5. Web. Powers, Scott K., and Edward T. Howley. Exercise Physiology: Theory and Application to Fitness and Performance. Boston: McGraw-Hill, 2007. Print. Prentice, William E., and Daniel D. Arnheim. Arnheim's Principles of Athletic Training: A Competency-based Approach. New York: McGraw-Hill Higher Education, 2011. Print.